Albert’s mother, Pauline Einstein, would have none of that. She went out and bought several books then started teaching Albert by herself.191 Here we see the tripartite foundation of success: the knowledge that Einstein easily assimilated from his classes and his mother’s textbooks; the insight of curiosity and critical thinking that is instinctive to all children and that he refused to let a teacher drum out of him; and the fortitude of facing adversity with the love and support of his mother. Einstein was not only a smart man, but also a wise man. He understood that there are two kinds of problems in the world: the ones where there’s a right answer and the ones where there isn’t. In the realms of phys- ics, math, or biology, things work the way that they work, and it’s on us to figure out which way that is. That’s why the laws of physics are discovered rather than invented. They continue to exist whether we discover them or not. Some of these problems are incredibly hard, but they nonetheless have right answers waiting for us to find. However, in the realm of art, literature, and music, there is no right answer to be discovered. Instead, there are many possible answers for us to imagine and create. The challenge of education is that doing it well is both kinds of challenge. There’s a science to effective instruction and empowerment, as we’ve explored. There’s also an art to an effective explanation, compelling metaphor, and engaging delivery adding up to more transformation than the sum of their individual parts would suggest. Let’s learn from the sort of people who deal with these part-science and part-art challenges every day. If anyone can be called an expert on solving problems that don’t have right answers, it’s David Kelley, founder of the iconic design firm IDEO. Kelley’s design teams routinely are enlisted to design things ranging from the perfect shopping cart192 to a better cubicle.193 But they aren’t experts in shopping carts, cubicles, or any of the other products that they design. How do they do it? Look, listen, learn. Before you can set about solving a problem, developing an idea, or addressing an issue or a need, you must understand it and the people affected by it. This is done by cultivating curiosity about and empathy for your students and their learning objectives. Ask lots of questions. Take the time to explore the issue and problem in detail. Not the solution, mind you, just the problem. Ask students what they find interesting or challenging, and ask experts what is surprising or effective. Understand the problem or process. This is where your questions and discussions are supplemented with research into industry knowledge and best practices. With clarity on the true problem to be solved, we can draw from the best there is by way of solutions. Navigate ideas. This is where you start brainstorming solutions, leveraging some of the lessons on creativity shared in earlier chapters. Then you evaluate ideas on their merits, and brainstorm some more to see what emerges that is worth developing into a solution. Create. Finally, you’re ready to turn ideas into something real, by building a prototype, making a model, or writing a draft. In the world of course building, we call this first run at your course and curriculum a “pilot,” which will tend to be rough around the edges, but good enough. If you’re an expert or professional with knowledge to share, why not build an income stream while you’re at it? We show you the exact steps to take. This process is robust, powerful, and effective for the simple reason that it adopts a stance of learning, iterating, and improving over just building and delivering. Only one of the six steps in the LAUNCH process is the direct development and presentation of a curriculum. You’re always learning and never quite done. How do you measure or quantify an artist’s success? Is it in the fame or notoriety? The quality of the work? The impact on other artists? Or how sought after the artist’s work is hundreds of years after he or she is gone? By all these measures, Leonardo da Vinci was a huge success, but by others, much less so. Leonardo’s multifaceted mind constantly jumped between fields of study and projects of interest, and he was notorious not only for the quality of his works, but also for the incredible length of time it took him to finish them… if he finished them at all. This is best illustrated with the Mona Lisa, which is considered his greatest masterpiece. He worked on the Mona Lisa for the last 17 years of his life, and it never was delivered to the patron who commissioned it. This might be fine if Leonardo himself was happy with the outcomes, but history suggests otherwise. Yes, his surviving work is among the most valuable in the world—for example, the recently discovered and restored Salvator Mundi painting, which most scholars attribute to Leonardo, was sold for an unprecedented $450 million, the most anyone in the world has ever paid for a painting.195 But Leonardo himself never saw any of that money. Throughout his career, he was dependent on the patronage of aristocrats and leaders who were willing to indulge his eccentricities. Contrast that with his contemporary and rival Michelangelo, who sculpted David and painted the Sistine Chapel; when he died, he left an estate of 50,000 florins,196 which translates to more than $40 million in today’s money. Steve Jobs got it right: Real artists ship! What was the key to Michelangelo’s success? At least part of it was that he buckled down, did the work, and delivered to his patrons—over two hundred pieces of art, compared with only a few dozen pieces by Leonardo da Vinci. In short, Steve Jobs got it right: Real artists ship! And shipping means compromise. Even Jobs, who was a notorious perfectionist (which led to numerous production and product release delays), could ship only the best product that could be made with the technology of the time. For a perfectionist to make that sort of compromise takes a quality not often associated with Jobs: humility, which is the root of what Jeff Cobb calls the Beta Mentality,197 which is the ability to overcome the idea that the perfect product must be produced right out of the gate. But at the same time, if shipping means compromise, then that means any course we produce won’t be as good as it ultimately could be, and it becomes incumbent on us as course creators to go back and fix it. An idea shared at a dinner party morphs into an article, which garners enough interest to indicate that you’ve got something, so you get to work writing a book. Weeks stretch to months and even years, as you pore through research, talk to experts, and write drafts of chapters. The process is long and solitary, and it comes at a cost of time that could be spent playing with your children, talking to your spouse, or even doing something that makes a few dollars. But you believe in what you’re doing, so you persist through the circuitous journey of ideas that are half-developed, metaphors that worked in your head but don’t on paper, and chapter drafts that are scrapped upon realization that the book needs to go in a different direction. Finally, one day, you emerge from your writer’s cave with a completed manuscript. You’re tempted to celebrate. After all, you’ve worked so hard, and feel like you’ve come so far. But this is just the beginning. Now it’s time to share that precious manuscript with the smartest people you know and brace yourself for their unvarnished feedback. And boy, does that feedback come. You quickly learn that your spelling isn’t nearly as precise as you thought, you use semi-colons more often than anyone should, and what you proudly called eloquence was really long- windedness. Having addressed style, your well-meaning reviewers take on the work itself. While they’re careful to remind you that they see potential, your thinking is muddled, your metaphors are unclear, and the conceptual framework you are building is far weaker in places than you care to admit. The critique experience is dizzying, and absurd amounts of energy are dedicated to single sentences, as you struggle to separate opinions that you legitimately disagree with from truths that you simply don’t want to hear. It isn’t easy, but it is necessary and worthwhile. Ultimately, a book is only as good as the difference that it makes in the minds and lives of those who read it. Like what you see but want your own physical copy? There’s no substitute for being able to read, highlight, and curl up with a real, paper-and-ink copy. The same is true of a course. We find a problem that can be solved by education, and we think through the knowledge and skills that we want to teach, the insight that we want to cultivate, and the fortitude that we want to impart. Then we navigate the LAUNCH cycle and work through the six layers of Leveraged Learning to craft our course. Finally it’s time to work with our first cohort of students, and invariably we learn that our explanations aren’t as clear as we thought, and our students aren’t nearly as motivated as we expected. That’s not to mention that our technology is hard, our accountability is proving ineffective, and the success behaviors that we painstakingly designed don’t seem to be taking hold. Thankfully, we overcompensated with support for our students, and with what feels like Herculean effort, we got them over the finish line. Am I dramatizing a little? In some cases yes, and in some cases not at all. What is absolutely true, though, is that creating a course is just the beginning of a much longer journey. Every educator needs real world feedback as to what is working, and what isn’t, so much so that Bill Gates took the TED stage in 2013 to propose that the best investment of $5 billion the United States could make would be in building extensive systems to provide feedback to teachers.198 For that feedback to be effective, it will focus on two factors: momentum, and friction. Newton’s first law of motion states that an object will remain in motion unless acted upon by an external force. In space, that means a little push is all it takes to get you clear across the galaxy, as long as you have enough time and don’t bump into anything along the way. Down here on Earth, though, there are lots of external forces such as air pressure, gravity, and friction. As a result, no matter how hard you throw a ball, it will go only so far before slowing and crashing. Learners’ journey through any educational experience works in much the same way. They set out with a certain amount of momentum, and that momentum gradually is decayed by friction and distraction. If the friction or distraction become greater than the momentum forward, they stop dead in their tracks. Game over. As educators, our jobs are to plot the course from start to finish (meaning the transformation that comes from the successful application of whatever we’re teaching) and find where along the way friction is breaking momentum. With that clarified, we can eliminate friction, add momentum, or do both, to keep students moving forward. Which begs the question: What creates friction? The rider loves to contemplate and analyze, doing so with a negative bias, almost always focusing on problems rather than solutions. The rider is frustrated by uncertainty and easily exhausted. The rider is your rational mind, typified by the prefrontal cortex that looks for patterns, makes plans, predicts the future, monitors the self, and attempts to distinguish between and suppress animal instincts. The elephant is easily spooked and hates doing things with no immediate benefit. It is stubborn, needs reassurance, and is quickly demoralized. It is powerful, tireless, and difficult to actively direct. The elephant is your emotional mind, typified by the amygdala that is the root of fear and trigger of the body’s stress response. Negative emotion has a narrowing effect on range of thought, while positive emotion allows the mind to wander creatively. Solving cognitive friction, aka rider problems. This is about cognitive load, as Rekhi explains: “Cognitive load refers to the total amount of mental effort being used in working memory. When cognitive load is high when performing a task, it means there is significant cognitive friction. The designer’s goal then becomes minimizing cognitive friction. Cognitive friction is broader than just interaction friction as it encompasses all aspects of the experience that result in mental effort.” In other words, if something is confusing your students—whether it’s your instructions or your actual lessons—that can create cognitive friction that the students can’t handle. Again we audit the experience, looking for the questions that keep recurring, the dropoffs in student engagement, or the work that often comes back wrong, all of which point to confusion. And again, if you find it, fix it. Solving emotional friction, aka elephant problems. We turn to this last because it’s the hardest sort of friction to solve, often requiring that we empower our students with hard-won fortitude. In other words, easier said than done. This is about the stuff that we know how to do and have a clear path to accomplish, but that we don’t feel comfortable doing. For example, explaining the mechanics of how to sell is fairly straightforward, and students can memorize a script without much difficulty. But actually navigating a sales conversation and addressing questions of value and affordability is uncomfortable because money can be uncomfortable. Learn to create, sell, and profit from your own online course—BEFORE you build it—when you join the FREE Course Builder's Bootcamp, and become a successful (and profitable!) builder of online courses. So we audit our course over and over again, looking for any friction that we can eliminate or reduce. Just as a book can and should undergo multiple rounds of revision, most courses must undergo multiple rounds of iteration. You develop the course, present it to students, and measure the results. This leads to learning about what worked and what didn’t, plus hypotheses about how you might do better. That in turn leads to a new iteration, new feedback, and new learning, in a cycle that keeps on going. Student results improve over time, and you start seeing diminishing returns on new iterations and improvements. Your course is now robust. At long last, you’ve built something stable and truly transformative. Now, at a macro level, we’ve covered the entire process, but when it comes to creating a good course and iterating it into a great one, there are many layers of nuance that go into getting it just right. We’ll explore those layers in the next, and final, chapter. 1. What are the elements of the tripartite foundation of success? 2. The design firm, IDEO, uses a six-step process called “design thinking,” and it has the acronym, LAUNCH. What does LAUNCH stand for? 3. What is the meaning of a “beta mentality”? 4. In what way is a course similar to a book? 5. What two factors decay a learner’s momentum? 6. Even with the best of intentions, learners can lose momentum and fail to complete a course. What is the educator’s job so their students keep moving forward? 7. 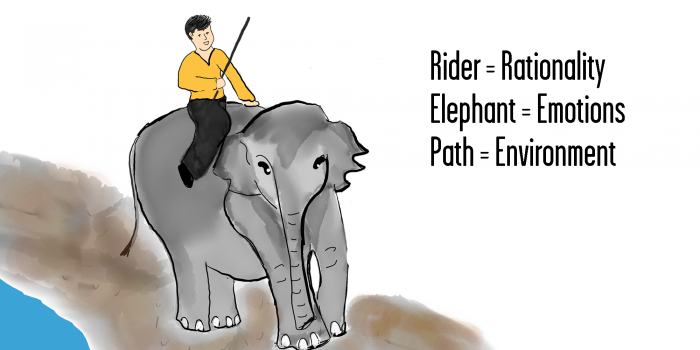 In Jonathan Haidt’s metaphor for behavior change, what do the rider, the elephant, and the path represent? 8. What are the three forms of friction, according to Sachin Rekhi? 9. Give examples of how a course creator can remove or reduce Interaction Friction (aka Path Problems). 10. What is the meaning of “cognitive load”? 11. What are some indicators that your students are finding something confusing? 12. Which kind of friction is hardest to solve? 13. 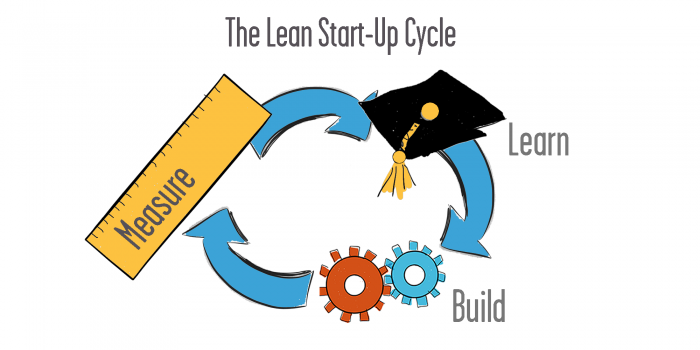 How can teachers use the Lean Startup Cycle to create better courses? Like What You Read, and Want to Go Deeper? Here are a few good books to take a look at if you’d like to go deeper on some of the ideas presented in this chapter. The Story of Progress, from "Amazing!" to "Are You Freaking Kidding Me?!" Sensors, Connectivity, and Artificial Intelligence ... Oh my! Why Do Some People Quit? Why Do Some People Keep Going? How Can We Develop Fortitude? Afterword: Where Do We All Go from Here?